Misty; Flesh satin Girl`s Latin American Sandal. 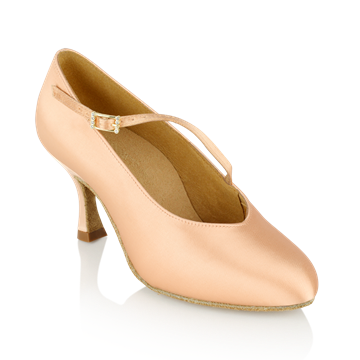 Crafted by hand to the highest possible standards, our satin Misty dance shoes are perfect for competitive dancing. 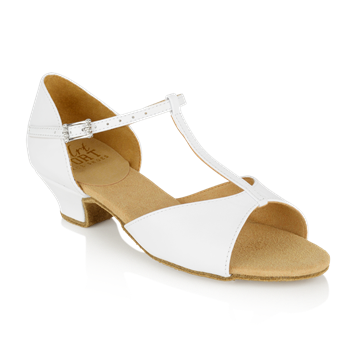 These beautifully made dance shoes have characteristics that have been specially incorporated for the young dancer. These include non slip, anti slide heel tips, enhanced support of the heel through the use of sports grade material. Also the lining and socking have antibacterial properties. The shoe benefits from a round toe shape. The Misty shoes include a classic T bar strap for extra support. This style is designed to provide optimum arch support for the young dancer. • Classic Girls` T bar Sandal.